Thank you for visiting Paper Rocket Minicomics. We are a new publishing house dedicated to producing comics that can be both read and treasured. Minicomics are our chosen form–that is self-published, handmade comics. 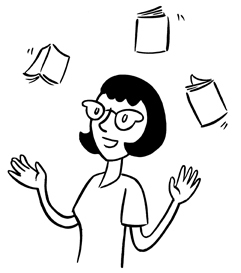 Poke around the site to learn more about minicomics and our mission. We have some exciting projects in store, so check back often! How interesting, and who better than you to produce jewels of the art of the minicomic! The best of good fortune with this young enterprise.